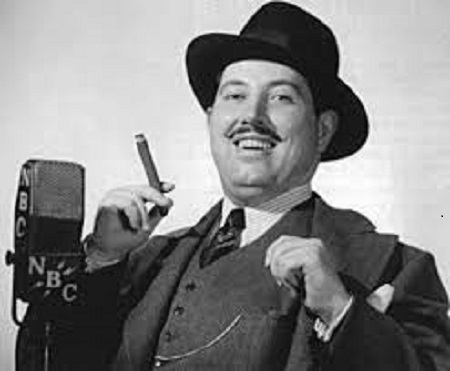 Spring is in the air this Saturday on Tom Cherry's Old Time Radio Show as we proudly present a classic episode of The Great Gildersleeve and feature the return of The Happy Hoppy Hopper Show! Starring Sean Orlosky, Gabe Carpenter, Sean Heline, Bob Green, Katy Mendenhall Wolfe, Angela Gick, Jeff Shull, Jeffrey Rapkin, our soundwoman and soundman, Judy and Jerry Cole, and our special guest star, Rita Wessel! We'll also play It Pays to Be Ignorant, pal around with Bob and Ray, and hear some great songs from Angela Gick, Gabe Carpenter, and Rita Wessel! That's this Saturday (April 25) at 3:00 pm at the Farmland Community Center! Tickets are only one dollar! Popcorn and refreshments will also be available for purchase! Tune in, turn out, and drop in! We'll see you on the radio! Once upon a time I attended Ball State University and worked at a snack bar called Munchies that sold burgers and pizzas. During my time there, I came up with a mascot for Munchies and I called him the Munchies Mutt. My bosses liked the Mutt and he soon appeared in ads for Munchies that ran in the Ball State Daily News over the course of a year or so. Sadly Munchies is no more and the Mutt's pivotal role in Ball State Dining Services' advertising is lost to history. This was the Mutt's first ad. I'm currently working on a new Oh! Those Savages comic strip. It's nice to draw the Savage boys again. Barbarian, knight, sage or wizard? No clue. Once upon a time Those Funky Idiots aired on public access in Muncie, Indiana and the mayor hated us. We never tried to win him over, but I did make a flyer for the show featuring early cartoon versions of the cast. I don't remember if I ever handed any of the fliers out to anybody, but one copy did hang on the wall at Bob's Comic Castle for awhile. Thanks again, Bob! The featured cast include (From top to bottom) Birnie, The Rummage Sale Lady, Vinnie Tuscany, Poppy Sinclair, Arlo Wazzo (Holding an urn containing the cremated remains of Nana Wingate), and Amanda Wazzo. To see many of those public access episodes, just click here! I've been drawing this guy recently. I think I finally got his nose right. Samurai Slate was created by Keith O'Brien. I don't trust this guy. I really don't. A couple panels from a Little Arlo comic I worked on a few years ago.